Just for grins, I decided to try to write the first draft of this column longhand. Not only that, I would do it completely in cursive—no printing allowed!–on unlined paper. With a fountain pen. My inspiration for this experiment was the column I wrote for last week’s paper, in which I told about finding a family genealogy chart in my great-grandmother’s Bible. It was written in her flawless cursive in faded blue ink that clearly didn’t come out of the plastic barrel of a cheap ball point pen. I know this not only because “real” ink looks radically different, but also because ball point pens didn’t come into widespread popular use until the 1950s. I’d bet good money that Grandma seldom, if ever, used one. As a first grader, I learned to write with a fat yellow pencil using the ball-and-stick method of printing still taught today. But it wasn’t long before I noticed that wasn’t the way my mother wrote. Her handwriting, though mesmerizingly beautiful, was indecipherable to me. But I begged her to teach me right then and there. 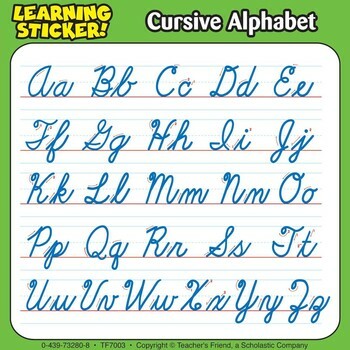 So Mother made a chart showing the alphabet in both print and cursive and helped me discover that most of the letters were similar. She explained that cursive writing required that the pen or pencil not be lifted off the paper until the word was finished. “You can’t cross your t’s or dot your i’s right away,” she said, “unless they come at the end of the word.” Then she gave me a writing tablet and a book called “Beloved Poems for Children.” I spent the rest of the day painstakingly but happily copying many of those poems into the tablet. Though my memory is somewhat fuzzy, I seem to recall that report cards bore a penmanship grade for most of the years I was in school. I know for certain that all the essays I wrote in high school had to be done in cursive. It was in college that everything changed. I discovered that I could take notes more quickly if I used a combination of print and cursive and my own non-standard version of shorthand and abbreviation. Professors seemed to care much more about the content of our writing than in the penmanship. When I went to work as an intern news reporter for the Nashville Banner after my sophomore year, I learned to compose at the typewriter, often with the telephone receiver propped between my shoulder and my ear. 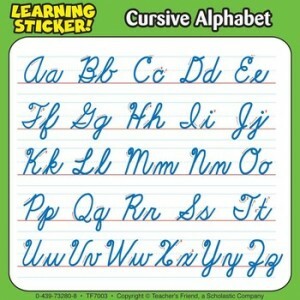 That’s when cursive and I parted ways for good. The only time I use it now is when I sign my name. My handwriting—like most people’s, I suspect—has evolved into a print-cursive hybrid. The good news is that it’s usually legible. The bad news is that it contains none of the mesmerizing beauty of Grandma’s and Mother’s old-fashioned penmanship. Seems something of a shame, doesn’t it?